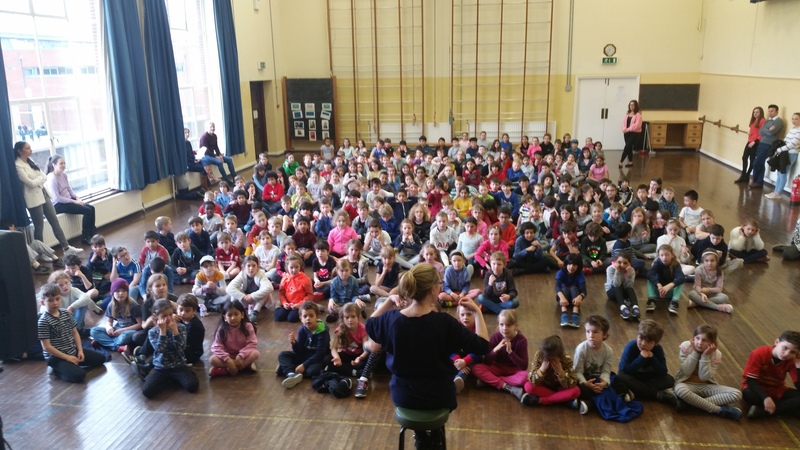 Last Friday, our school gathered in the Churchtown Hall and our principal Orla led us in an all Irish assembly. We learned some songs as Gaelige and we celebrated the last day of a very enjoyable Coicís na Gaeilge. We even began to learn our national anthem ‘Amhráin na bhFiann’! The winners of the write a book were honored in front of the school alongside our winners of the Credit Union Table Quiz. Our first to fifth class listening intently! Congratulations for our credit union quiz winners!